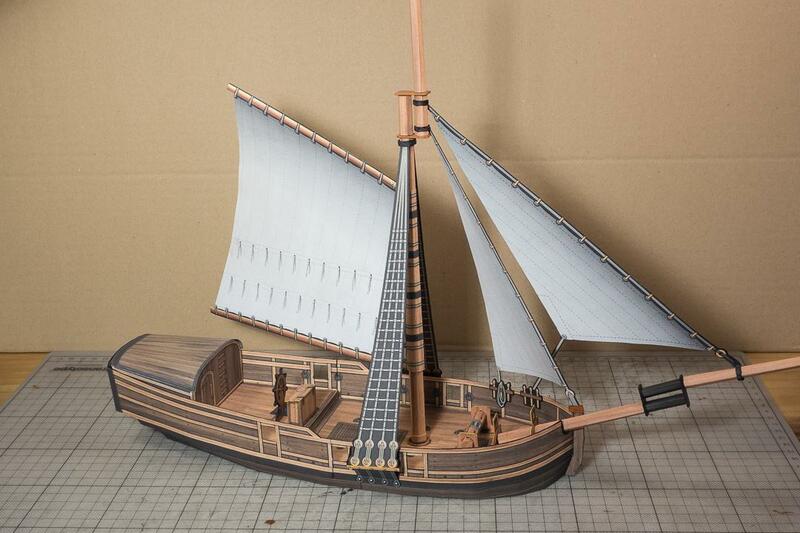 I have started working on the next ship in the Pirate Fleet builder series. 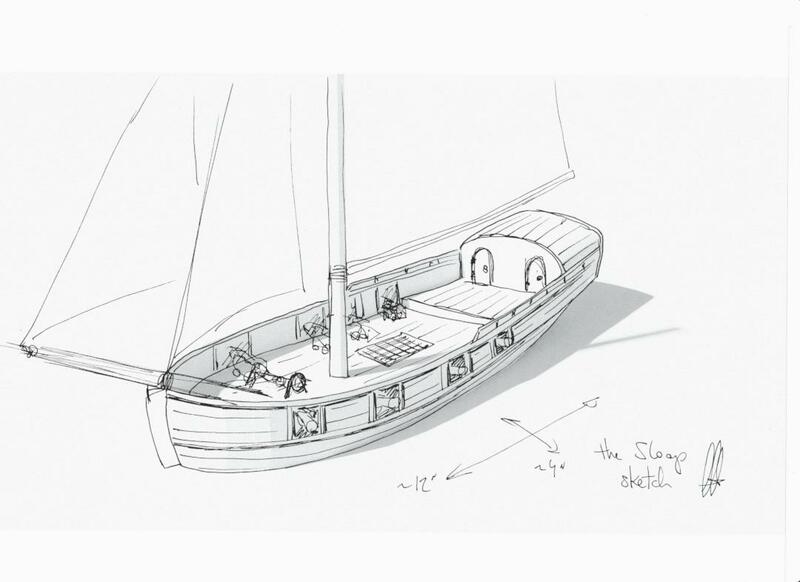 This time it will be a Bermuda Sloop. This was one of the most used ships by Pirates. Much smaller than the ships used in big movies but they were very fast and agile. Here is a first concept sketch. 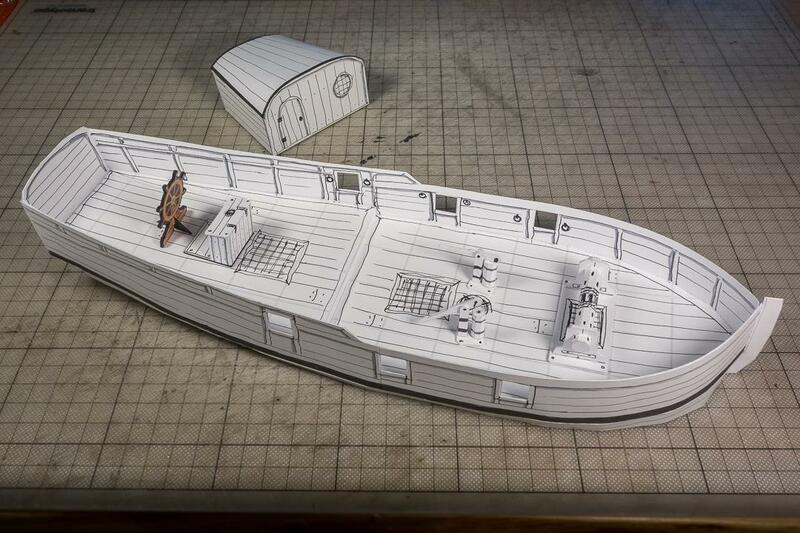 Here is a first look at a prototype of the sloop hull. I sketched some texturing details on so you get a better feeling of the look and size of this thing. 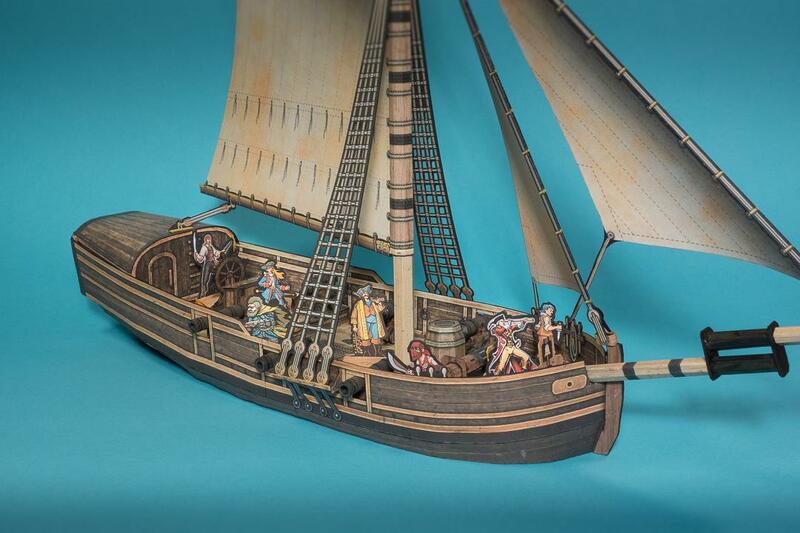 Do you have your pirates ready for gaming with the Sloop? After fixing all the issues from the first test build I went on to build the next iteration. Still a while build but again I sketched the texture details on for better looks. 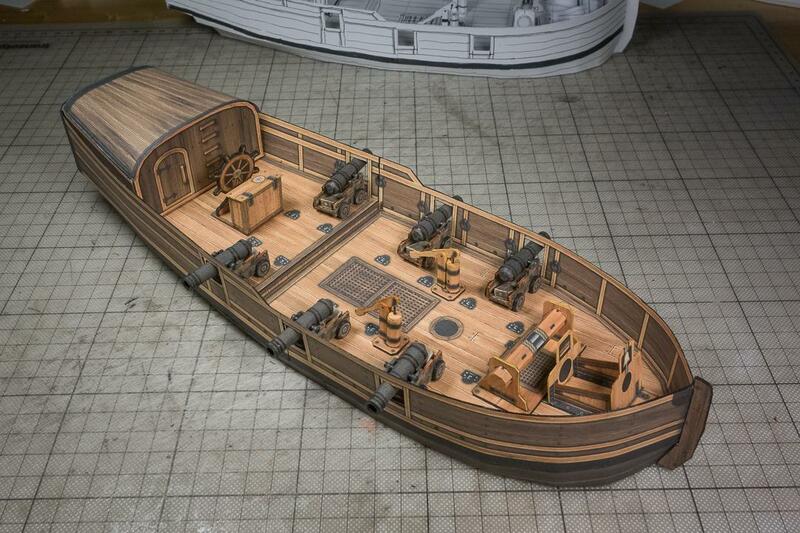 I also added the deck structures, the cabin, windlass, bilge pumps and binnacle. 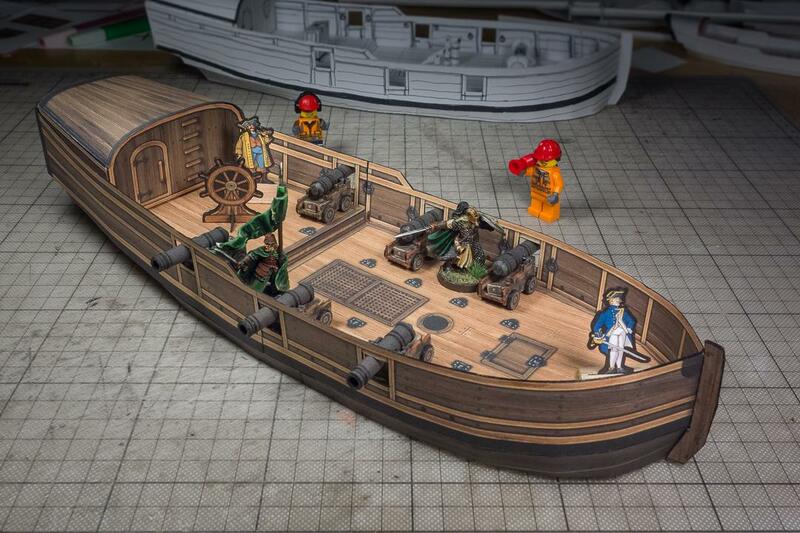 They are all removable, so you can configure the ship differently for each gaming session or remove stuff for better movement of minis! I think I can start working on the mast/sails/rig section! Here are some WIP pics of the first textured build. Not 100% final, because I have found some minor things I wanted to change or fix, so it looks better. But you get the idea where I am heading. All the deck structures are nice on display but for gaming I imaging taking some of the out for more room for the mini! All the structures are removable. Even the cabin, so you can configure any way you like! Here is the empty hull. 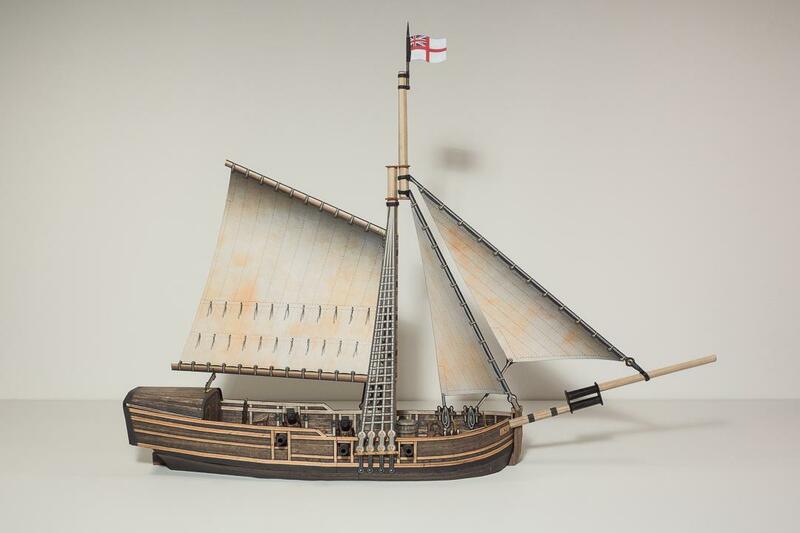 In the meantime I will start working on the mast and sails. 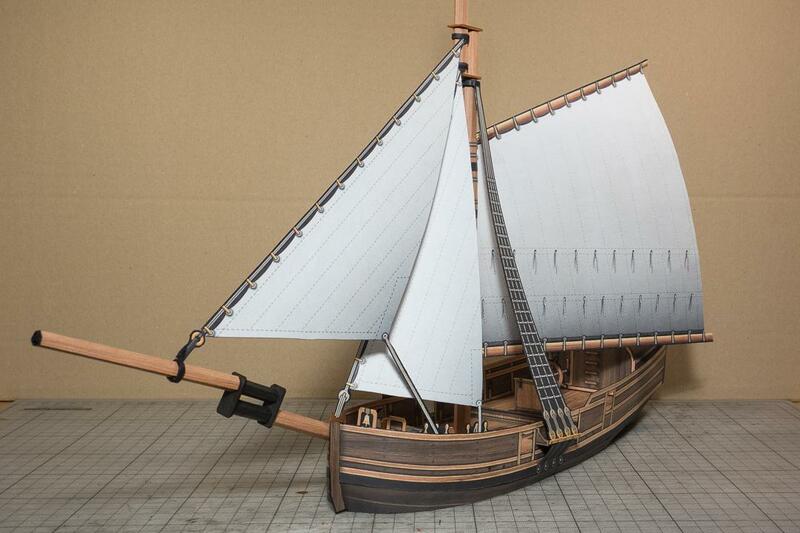 Here is an update with the sailing rig completed for the test build. Now I need to add the weathering layers and do the final build! Here's a pic with some paper minis! 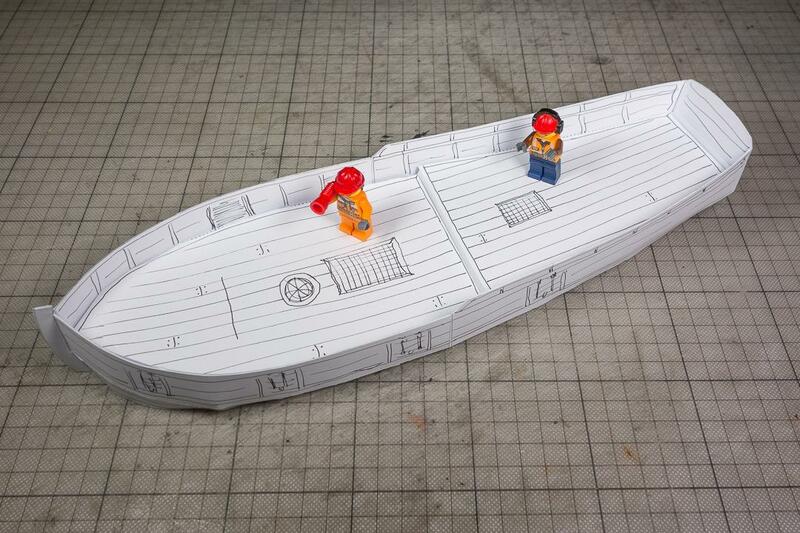 1) When will it be ready for download, and will the smaller boat be available with it? 2) Any chance of a second aft cabin, with a poop deck on top? 3) Where do you get the cardstock pirates from? And do they do RN/USN/MF crews too? 4) And finally the guns – are those card kits too and where can I get them? Sorry for all the questions, but it looks like it could have all the makings of a fun game! 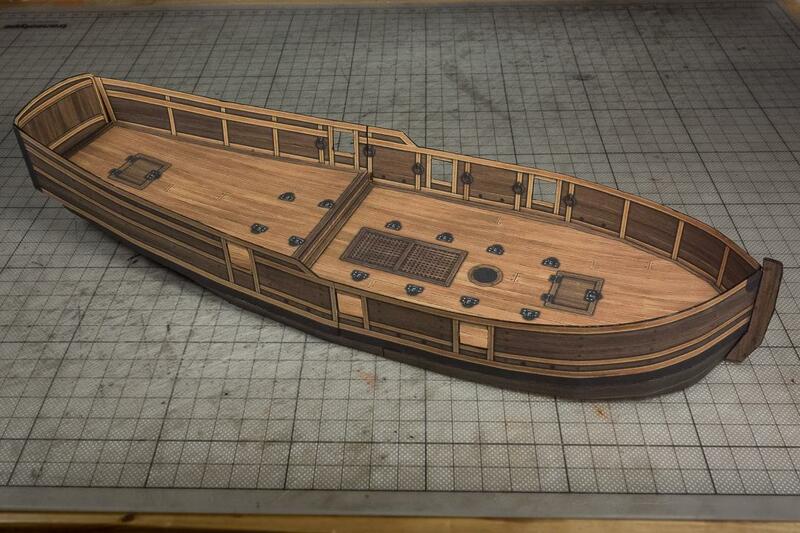 The ships have only been available on my Patreon for now and I have one more ship to go (the brig) before I will have a try at my first kickstarter. I want to see if there is enough interest for the other two ships I want to make, the frigate and Galleon (which will have a quarterdeck and poop deck). They each have very unique and distinctive art styles so there is a lot to choose from. 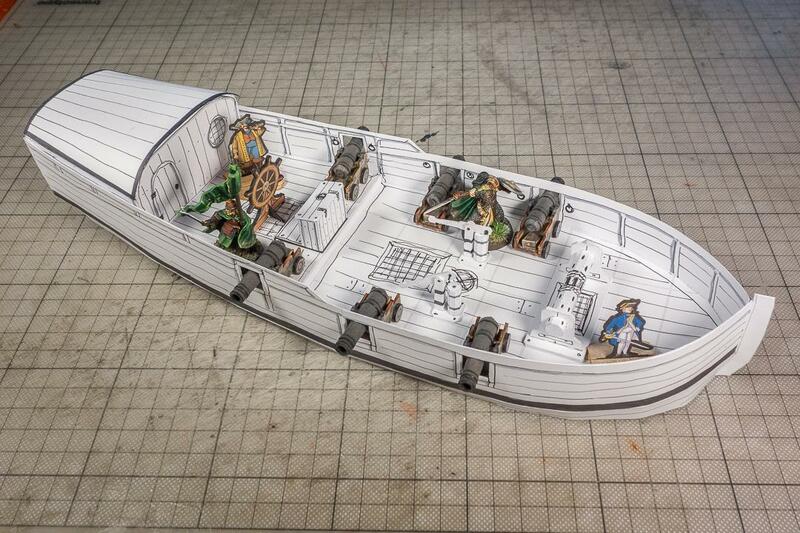 The cannons are also 100% paper model! 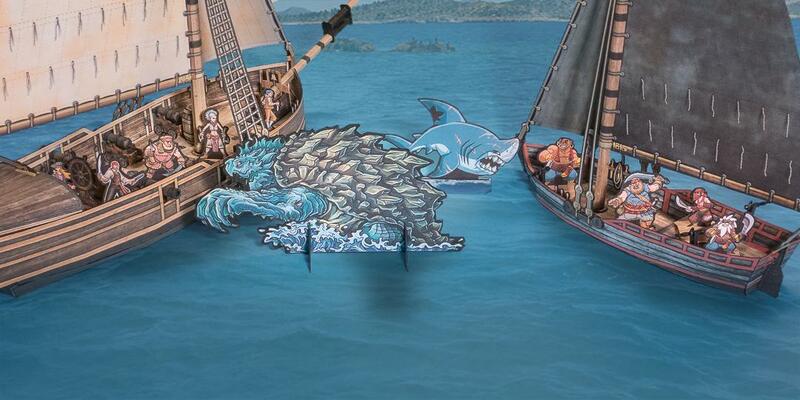 They will be included in the ship models and later they might even become a free lure-in-the-interested-bystander set! I also think it should make a fun game. There are currently a couple of new rules or extensions in the making. I have seen D&D make dnd.wizards.com/articles/unearthed-arcana/ships-and-sea available for playtesting.